Non-cooperation by states has been a major factor preventing the International Criminal Court (ICC) from fully delivering on its mandate. The United Nations Security Council and the ICC’s Assembly of States Parties (ASP) can deal with this problem. 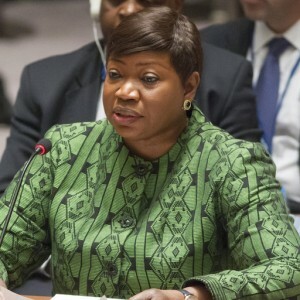 The council should take decisive action when it refers situations to the ICC. During the course of investigations and/ or prosecutions, both the council and the ASP can promote cooperation or address states’ non-cooperation. Prof Dapo Akande is Professor of Public International Law, University of Oxford, where he is also co-director of the Oxford Institute for Ethics, Law and Armed Conflict and Fellow of Exeter College. Talita de Souza Dias is a DPhil candidate and tutor in Public International Law and International Criminal Law at the University of Oxford.